Parkscope: A new Circusland or a Fair in disguise? Disney Parks released a video on their Youtube channel showing what we can expect inside the Big Top at the new version of Dumbo The Flying Elephant at the Magic Kingdom. 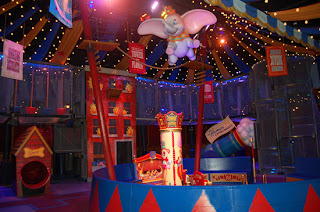 The video clearly shows an interactive play structure the younger set is sure to enjoy while they wait to ride Dumbo. The Big Top, which contains this structure, will serve as the new queue or line space for the ride. Once you enter the building, you will recieve a pager. While you wait for your pager to "buzz", you are free to enjoy the interactive play area. Storybook Circus is a visually stunning area and this new queue space continues that particular trend. However, the new "interactive queue" (more of a pre show to me) continues the one problem with the new Storybook Circus area, which has been blatantly obvious to me since Disney started its phased opening to the public. 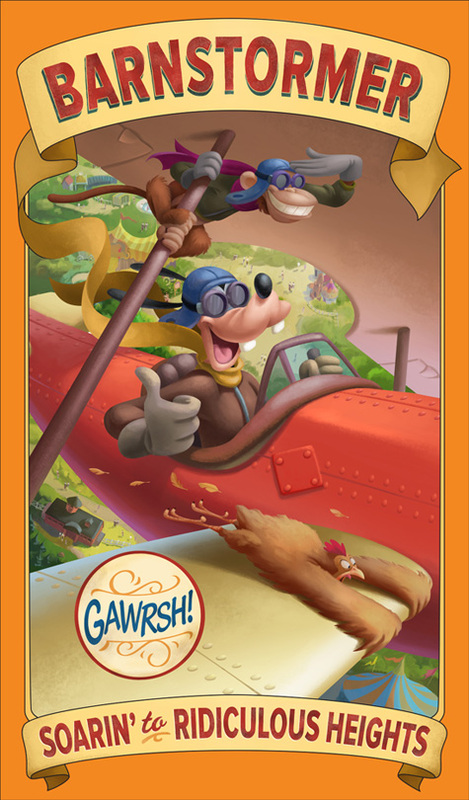 My problem is that the whole land is basically an updated version of the former Toontown Fair experience. You have a play area, a water play area, a kiddie coaster, a shop, a meet and greet area, and a train station. 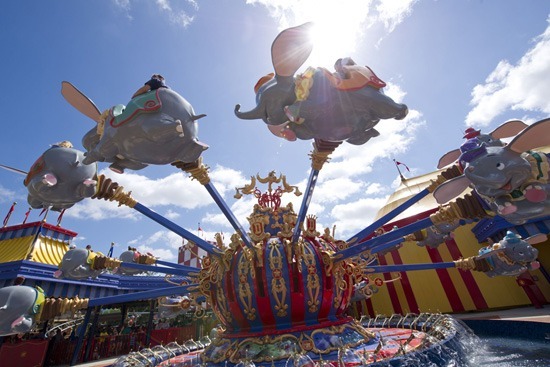 The only thing new to the area is Dumbo, which has obviously been in the park for decades. While that is great, I was expecting the experience to be a bit different. This new "interactive queue" seemed like the chance to really shake things up, but I think they missed an opportunity to have something special. If they had made the Big Top more of a fun house style experience that everyone, children to adult, could enjoy they would've hit a homerun. As is, adults will be able to sit and watch their children run around and play while they wait for a pager to buzz. Come to think of it, that would be a wonderful addition to one of the tents curently in Storybook Circus. How a about they add a massive walkthrough attraction that would have diferent obsticles people had to overcome to finish the walkthrough. Basically, a typical fun house or a maze of mirrors might be fun. The point is that the area has a lot more potential than what we are seeing (I'm not talking about adding an expensive dark ride). Little additions like a fun house could go along way. The one thing that I can honestly say is that the area is breathtakingly beautiful, especially at night and many of the experiences are improved over the previous version. I just can't help but feel like the area is missing.. something and yes, I have experienced the area first hand. The video of the new interactive queue space at Dumbo embedded below.